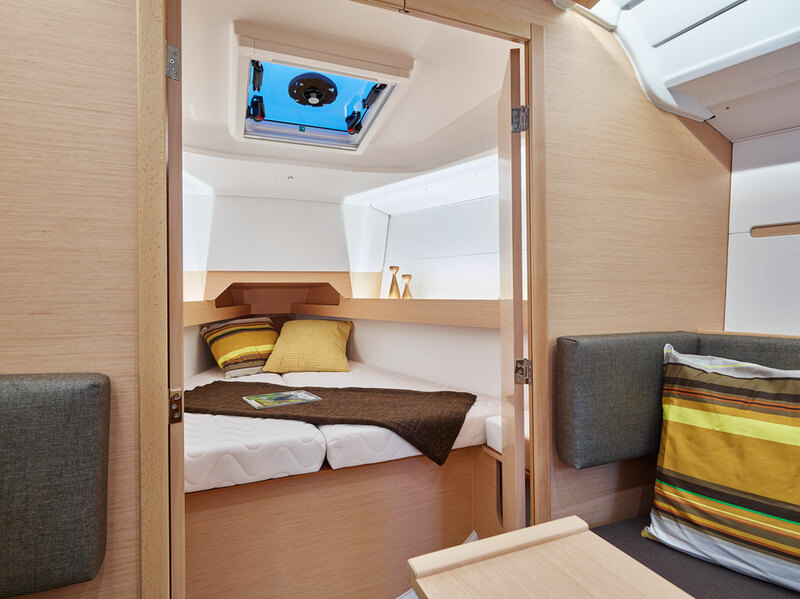 The Sunsail 34 comes in a 2 cabin, 1 head layout and features a spacious saloon and a very functional galley. 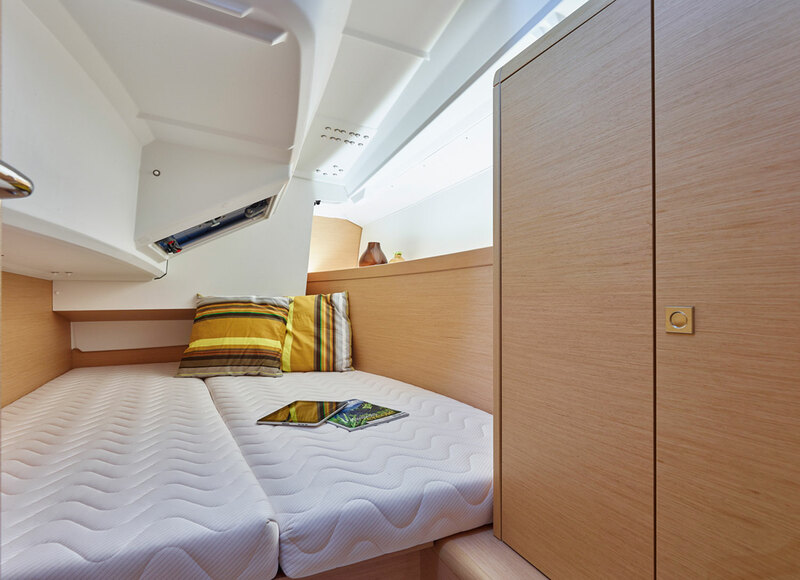 Designed by Marc Lombard and true to the values of the Jeanneau Sun Odyssey line, the Sunsail 34 is the perfect combination of performance, comfort and safety at sea. 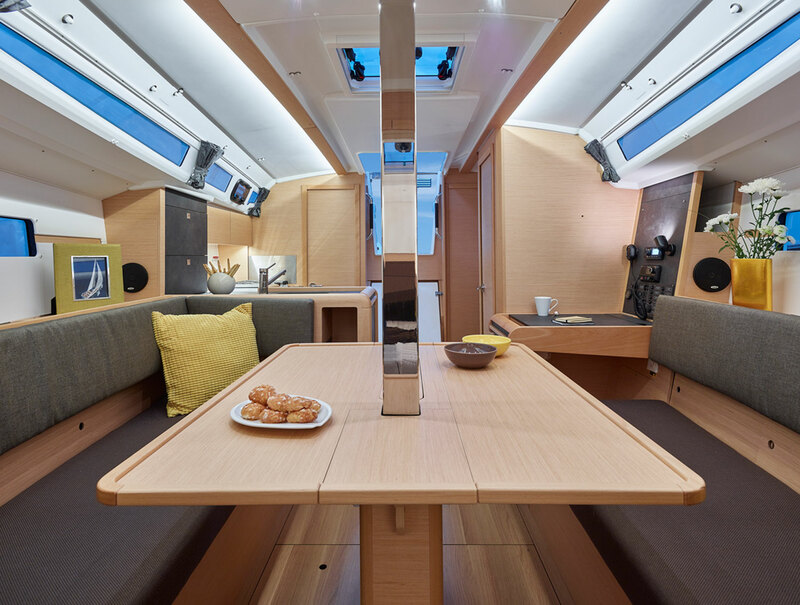 The twin helm positions enable the skipper to take her through tacks and gybes without disturbing the crew, key for family cruising. 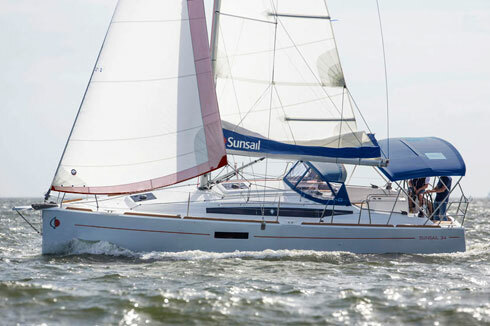 Under sail, she’s point-and-shoot easy to helm and behaves impeccably well. 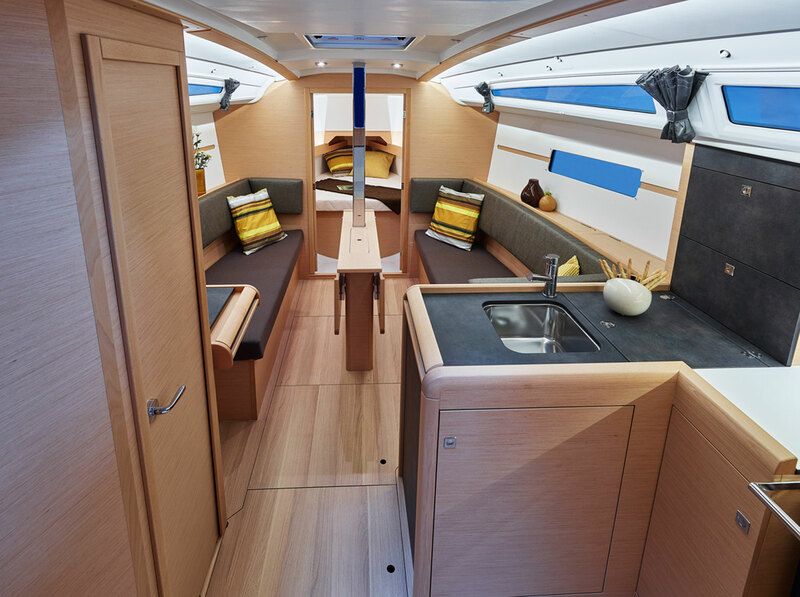 The simplicity of the deck layout means you don’t need to be a terrifically able sailor to get her going either. 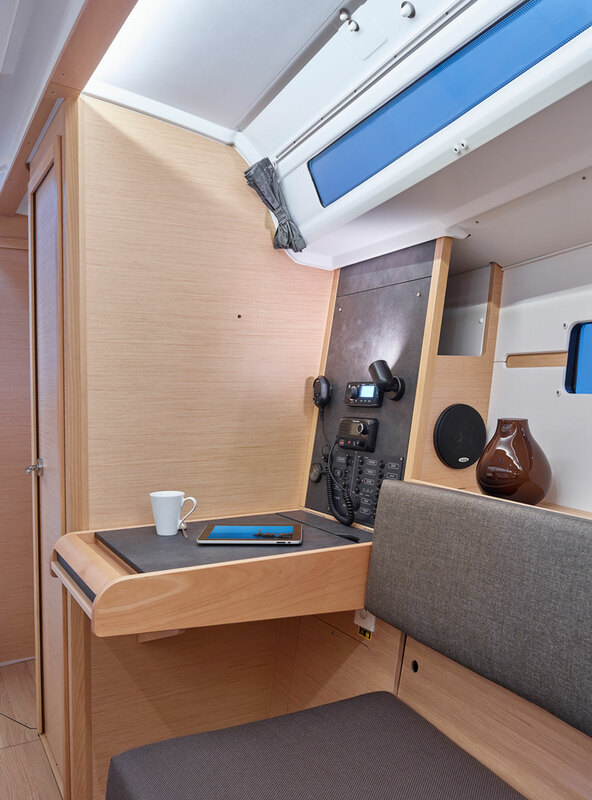 With any family cruiser, the critical spaces are the saloon, galley, heads and cockpit and Jeanneau gets those areas absolutely spot on. 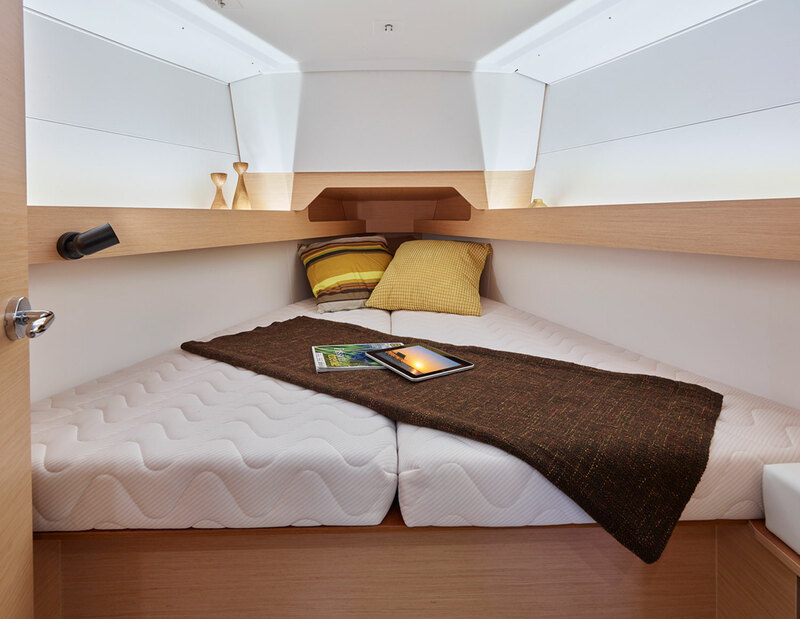 The berths are a decent size, particularly in the aft cabin. 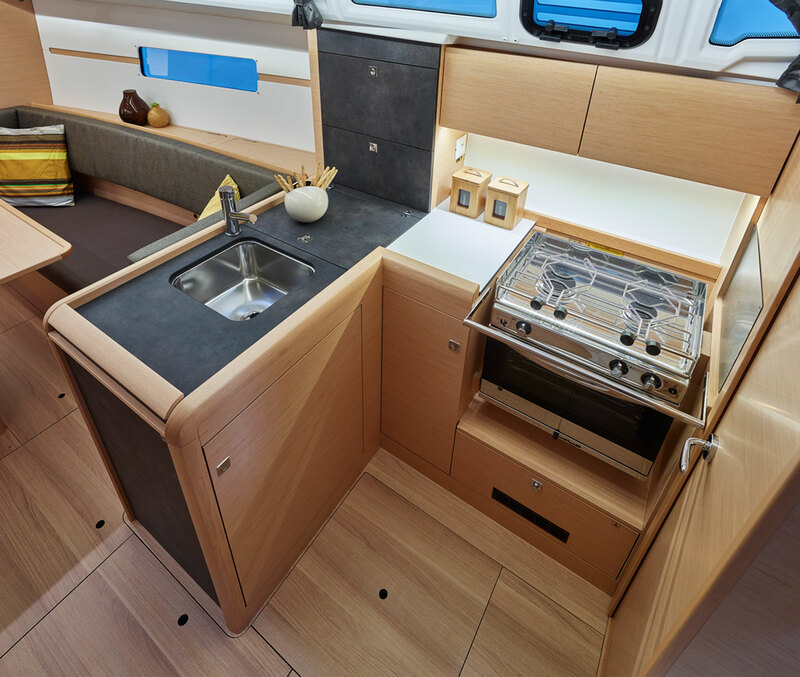 Ventilation is good and stowage more than adequate. 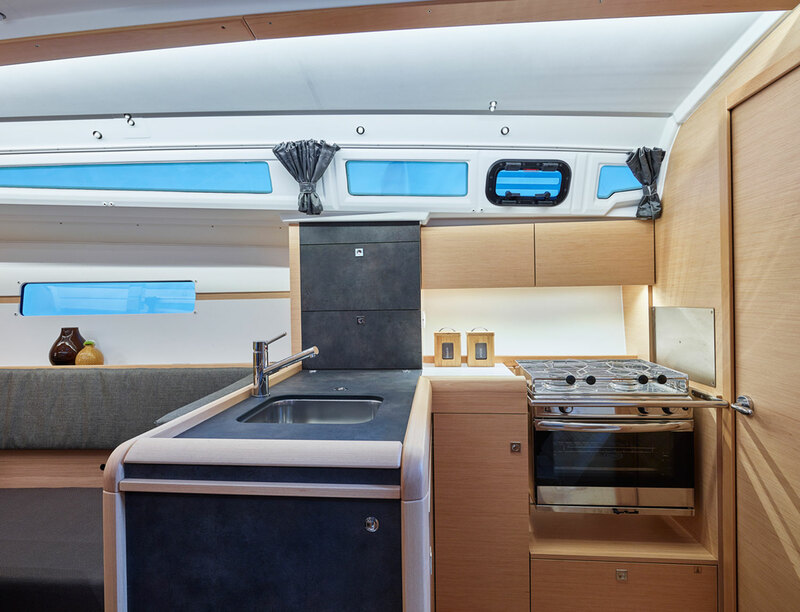 With her long waterline, wide beam and terrific space, she feels a lot bigger than 35ft.